Food and wine aficionados rejoice! Starting June 5, The Woodlands becomes food and wine central as it hosts Wine & Food Week — a weeklong extravaganza where more than 10,000 visitors convene to enjoy tastes of local food and wines from around the world. 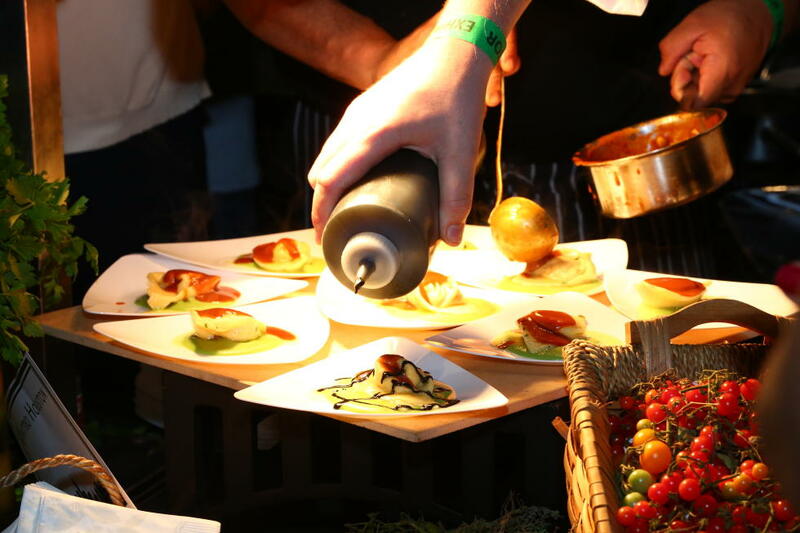 Now in its 13th year, the festival brings together local chefs, food and wine lovers in a wide range of events through June 11. From a soiree of bold wines, craft beer, cigars and poker for the guys to exclusive wine tastings for the serious wine collectors, there’s something for every taste and budget. This year the festival will also host a very special guest: Lidia Bastianich. The renowned chef, cookbook author, restaurateur, and Emmy-award winning host of Lidia’s Kitchen, will be the master of ceremonies at the festival’s Grand Tasting, where she’ll also participate in a Q&A open to the event’s attendees. Want to go but not sure where to start? The festival’s three signature events are a good bet. On Thursday, June 8, Market Street is transformed into a wine walkabout where visitors can sip on wine, taste small bites and listen to live music while strolling along during Wine Walk. If you’re attending the Jimmy Buffet concert at the Cynthia Woods Mitchell Pavilion that evening, stop by the Parrothead Parrot Cage, a pre-concert tailgate during Wine Walk. Sips, Suds & Tacos on Friday, June 9, brings together chefs for a Taco Take-Down where you and a panel of judges choose your favorite taco. Don’t expect tacos al carbon in every stand. You’re in for a sampling of the chef’s creative takes on the popular street food. Wash them down with a selection of craft beer and wines and then burn off the calories dancing. The festival’s big night comes on Saturday, June 10. The Wine Rendezvous Grand Tasting & Chef Showcase brings together 60 chefs including David Cordúa of Cordúa Restaurants, Paul Friedman of Peli Peli, David Guerrero of Andes Café, Teddy Lopez of Killen’s STQ, and more, to compete for the Waterford Crystal Chef of Chefs award and a $5,000 cash prize. The winner is selected by a panel of judges but festival-goers can sample every dish and choose from some 500 wines to taste. For the full event schedule, participating chefs and wineries, and to buy tickets, visit wineandfoodweek.com. Special hotel deals are available at nearby hotels for those who want to stay in the area during the festival.